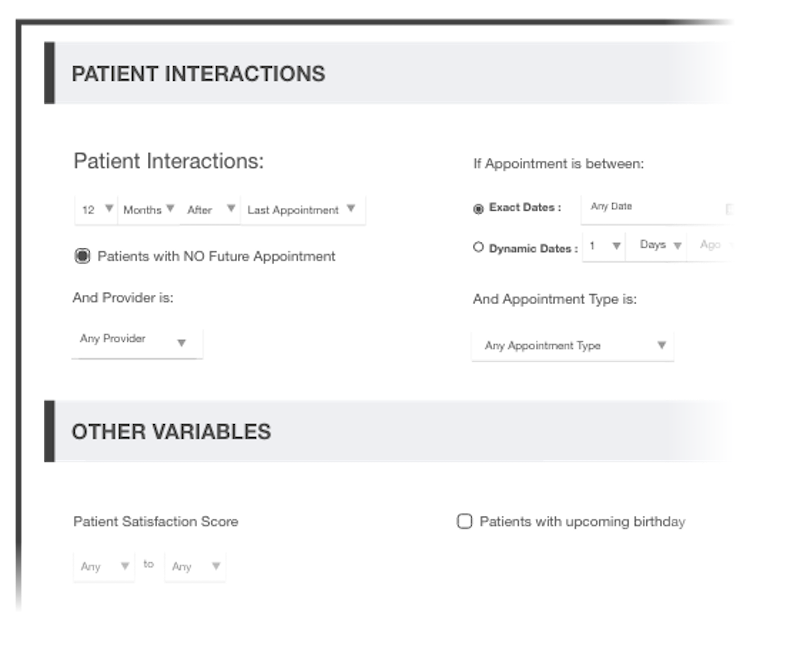 Group and connect with patients by demographic, by condition, by satisfaction rating, or by any combination imaginable with Cliniq Apps patient groups. Conserve time and money as you segment your audiences and focus your communication campaigns with laser-like precision, then save your groups for future use. 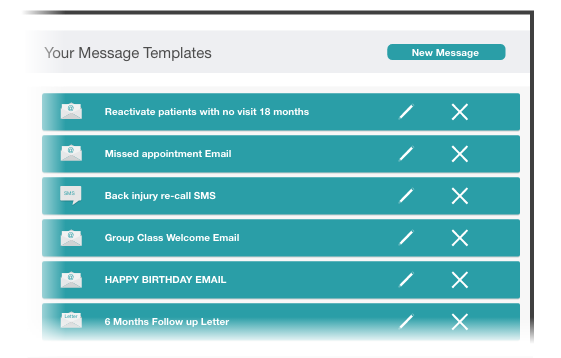 Use our template feature to craft the perfect patient message for every situation. Save them and send them out as often as you need. Cliniq Apps will automatically extract client data from your PMS and help you choose the right channel. Struggling to find the right wording? Just use our pre-loaded templates. Make re-call and reactivation campaign headaches vanish instantly with the Cliniq Apps campaign manager. We will help you build and run powerful, effective campaigns around the clock. 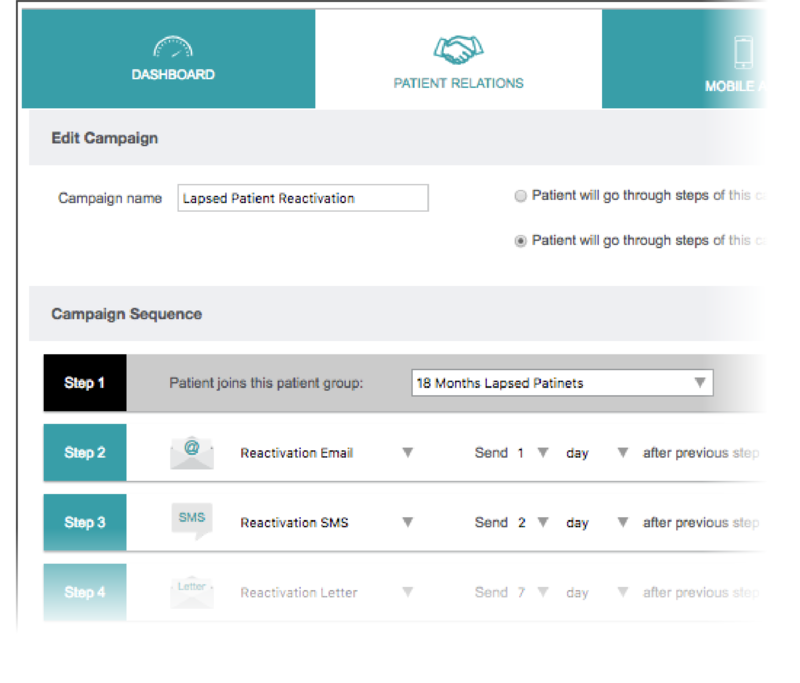 Your retention and reactivation rates will soar as you target patient groups with tailored, multichannel messages. Cliniq Apps will help you maximise your calendar utilisation and fill your waiting room. Ever wonder what proportion of your appointments are no-shows and how they're affecting your profitability? This is where you find out. You'll get all the data you need to take a hammer to your operating costs and boost profits. How much is your average patient worth? How many are you retaining? How often do they visit? With Cliniq Apps, you're only one click away from these vital figures. You'll have your finger on the pulse of your business 24 hours a day with our automatically generated patient management reports. 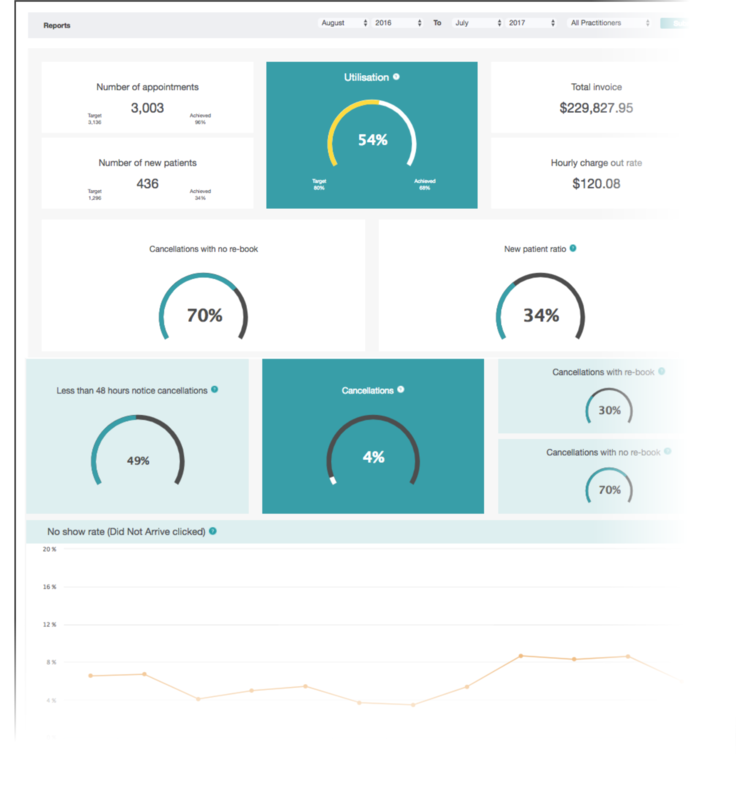 Cliniq Apps can tell you in an instant how close you are to your growth targets and whether your marketing ROIs are paying off. Track your new-patient ratio and grow your clinic into a new level of profitability. Remember: your clinic needs to increase its patient volume year after year to stay healthy. With so many channels and options, it's hard to know how to stay in touch with patients. Let Cliniq Apps take care of your patient communications. Whether it's by SMS, letter or push notification - we process, dispatch and document every message in a searchable, secure database. Cliniq Apps lets you do away with fragile appointment cards and fallible memories. After installing the mobile app, your patients will always be on top of their next medical rendezvous. The apps connects seamlessly to your PMS and, best of all, comes configured with your clinic's logo and branding. Say farewell to tedious confirmation calls!